In the mail, the poster print has just arrived a few days ago from Society6 with a glossy surface appearance which is expected. Because of the price alone, it’s quite reasonable for those who like to keep it simple and put on the wall. But for those who prefer something a bit fancier, the art prints are the way to go due to the archival photo paper stock and print quality. I’m pleasantly surprised at how well this came out as a few other pieces of mine are now included in the poster category besides art prints. The entire poster shown here. Close up of the details. New Poster Offer At Society6! Just recently, I had noticed that my Society6 store now has offered a new wall art in the form of a poster which is a cheaper alternative to art prints for those who may be interested. They measure in 18 x 24 inches in size at around $20 which is a very good deal especially when special sales occur weekly. As you can see the photo below, one can find posters in the menu section seen here. This is a screenshot of my account with the posters in the red rectangle for illustration purposes. And in the next image shown is a screenshot of my actual piece now available as a poster print. Art prints tend to be a bit more expensive but the paper quality is photo archival stock however. Screenshot of my actual poster print. I just ordered this poster and will see how it looks once it arrives in the mail within a few days or so. From there, I’ll have an update of it on my Instagram and here as well. Not only did they have posters but wood block art which is a pretty cool thing and something that I also have available in one of my images with the Oni Demon. Exciting stuff! In the very early 1990s, I was fortunate enough to grab copies of the vaunted Aliens book 2 series that were four issues long, illustrated by the excellent Denis Beauvais who has inspired me at the time with such vivid colors and masterful use of lighting. 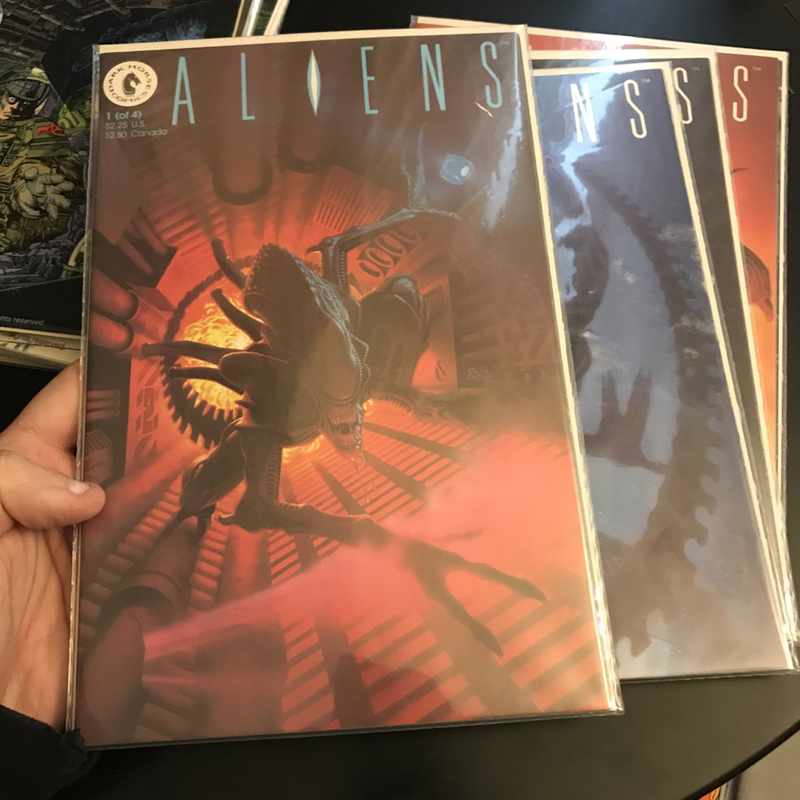 Before that, Dark Horse Comics brought out the first ALIENS comic done in black and white by Mark Verheiden and Mark Nelson which I also loved. But it was the second volume that cemented it as a masterpiece of tone, grit, and horror with ‘cinematic’ flair. 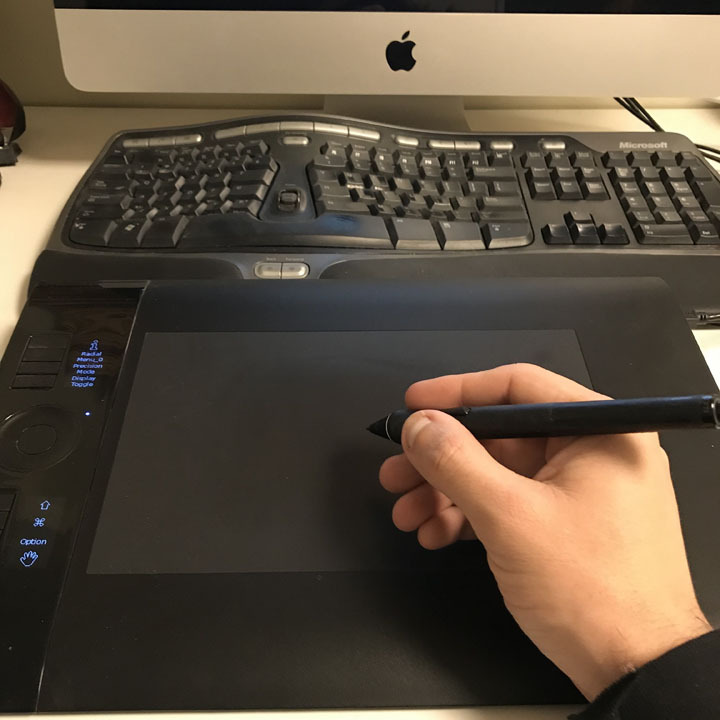 At the time, I didn’t have an airbrush until a very talented neighborhood friend of mine showed me his Iwata brush which opened my eyes on how it worked. He explained to me that Denis’ work was airbrushed and hand painted which perplexed me at first until he demonstrated its use while connected to a large floor air compressor that was silent. I was hooked and eventually got an Iwata airbrush from my parents as a holiday gift which I’ll never forget. It was to my amazement that Beauvais had a recent interview at an AVP Galaxy site which fascinated me and confirmed the use of his medium of choice while discussing his views on digital versus analog. Not only did he do the series, but was also responsible for the famous Dragon magazine cover showing ‘Bridge of Sorrows’ which I also own an issue of. And to this today, that very same airbrush I own still works intact, originally made from Japan. I do want to stress that it had been years since I last used my airbrush in the 1990s up until recently earlier this year painting two fencing masks. I had to rebuild my airbrush set up from scratch with a new air compressor and new paint. I plan on doing more of it in the future since it’s such a fun medium to work with, in my opinion, that digital airbrushes don’t come close to in terms of texture and quality. The very first ALIENS comic by Dark Horse. Denis Beauvais’ work from cover to internal pages for ALIENS volume two. A masterpiece. A sample internal page. Is this not cinematic or what? One of his stunning panels in the first issue. Love it. My original Iwata HP-C which is at least over 20 years old and an industry classic.